For a long time, Belarus and Kyrgyzstan were the only post-Soviet states that celebrated the anniversary of the 1917 October Revolution as a public holiday. 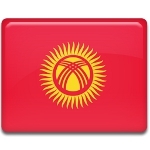 Initially, the government of Kyrgyzstan abolished October Revolution Day as soon as Kyrgyzstan gained independence from the Soviet Union. However, it was reinstated as a public holiday in 2001 upon the request of the Communist fraction of the Kyrgyz Parliament. Traditionally, November 7 was marked by Communist demonstrations and wreath-laying ceremonies at Lenin monuments across the country. Over time, attitudes toward the October Revolution in Kyrgyz society have significantly changed. On the one hand, the revolution did create prerequisites for the reinstatement of Kyrgyz sovereignty. On the other hand, Kyrgyz people suffered heavy losses in the years of Stalinist repressions. Taking into account the ambiguous role of the October Revolution in the history of Kyrgyzstan, the country’s government decided to rename October Revolution Day and Day of Remembrance for the Victims of Political Repressions. Since 2017, they have been collectively known as Days of History and Memory.